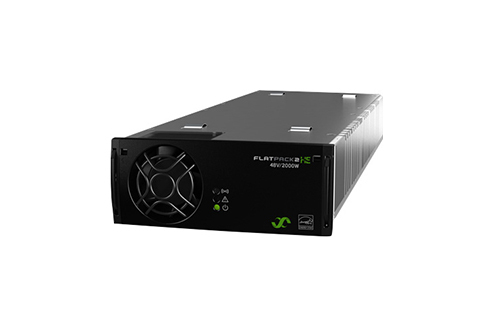 Designed to provide DC power for a variety of applications across multiple network deployments, the Eltek-Valere FlatPack bridges high-efficiency delivery with compact, short casing in modules 210 mm long. You get power that fits in almost all applications in your shallow cabinets. The FlatPack adheres to industry specifications and standards to achieve 95.5% efficiency with reverse current protection. Worldwide Supply delivers refurbished equipment like the Eltek-Valere FlatPack at a reduced rate of up to 80% off the original OEM pricing. Everything is backed with a lifetime warranty, so you can feel confident that you are getting like-new quality and reliability for an affordable price. Key attributes of the FlatPack include the ability to meet your high-power demands in small places with a form factor that doesn’t introduce any concerns. Each unit is power-dense and has a high level of efficiency with ORing protection on output, plus a hot-pluggable nature. Refurbished Eltek-Valere FlatPack models from Worldwide Supply are a value-driven asset. We’re able to provide you with best-in-class units that are just as reliable as new OEM equipment, but deliver significant savings. And, when your network needs to change, we can help you turn those assets into a new revenue stream when you sell them directly to Worldwide Supply. Turn equipment into cashflow instead of a liability by selling your used Eltek-Valere FlatPack or other OEM equipment. Learn more with the menu items below, or by contacting us today.